How was everyone's Thanksgiving?! Is the time flying or what? I can't believe it's already December. I ate entirely too much over the Thanksgiving holiday, but it was beautiful to say the least. For those that know me personally know that I come from 2 very large families. My dad and brothers flew in from Texas, and we had Thanksgiving dinner at my grandmas. My family members have moved all over the U.S. so I had aunts/uncles and cousins coming in from Florida, Pittsburgh, Detroit, New York...I mean I could go forever. Because everyone lives so far we don't get together on my dad's side as much but everyone came home for this Thanksgiving and it was such a treat. I literally ate my weight in food. We had 3 turkeys, 4 hams, homemade macaroni, greens, dressing (black people's stuffing :) ) spaghetti, ribs and I'm probably missing so much more! For dessert we had several sweet potato pies going, strawberry cheesecake, chocolate cheesecake, ice cream cake, apple cobbler, peach cobbler...I'm not kidding when I say I can keep going. :) It was so much fun though, we laughed until we cried, we played games, took countless selfies, and meaningful conversations, and most of all loved so hard on one another for the holiday. Also! If you ever want to shop my looks, but aren't really ready to buy yet, click here to shop my looks at a later time! 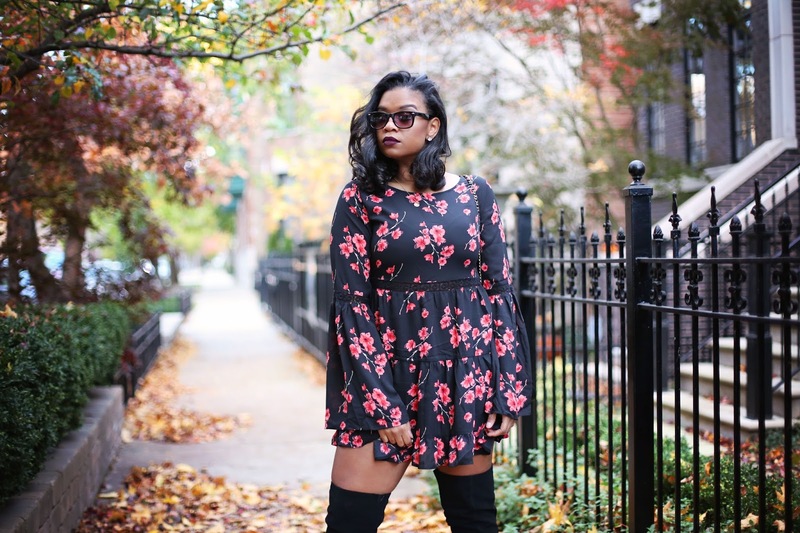 There is also a button on the right side of my blog in the sidebar that you can click to be reminded of any items from my look that go on sale, or if you want to purchase at a later date!